Jim and Ginny Hall’s Oxford Gallery has been selling a lot of my work over the past two years. When I got back from our visit to California this month, I found a check for this one waiting for me. He’d included it in the gallery’s summer show. 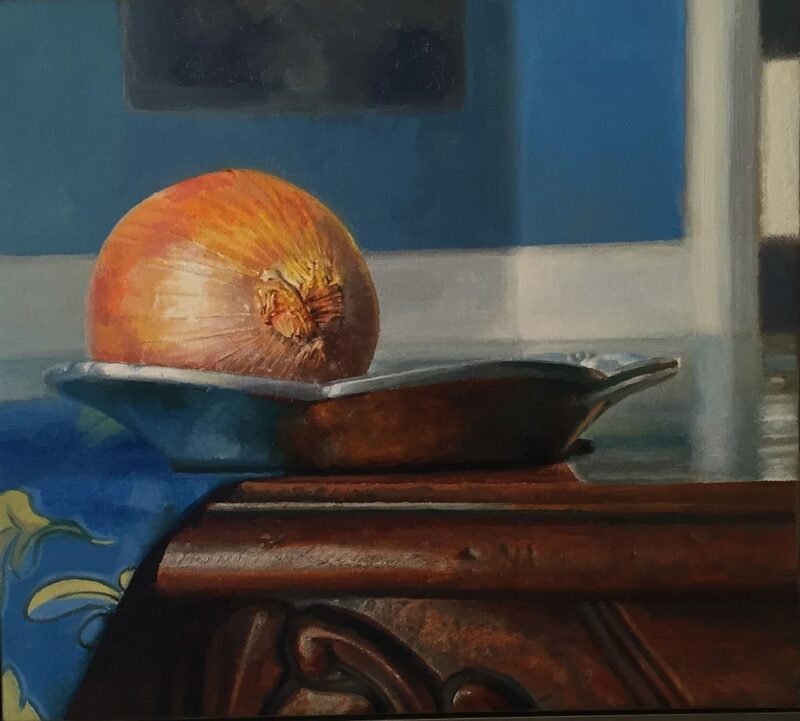 I am the proud owner of this piece (Onion on a Carved Table). It is now hanging in my Toronto home, where it brings me great pleasure every time I gaze at it. Anya, so nice of you to say so. Thank you.